Born in Boston and raised in Cambridge, Massachusetts, Mathew Heron grew up in a single parent household where he witnessed his mother grind non-stop -- it was that from which he learned his work ethic. Growing up in Cambridge allowed Matthew to connect with many different people of various backgrounds. One person in particular was the late Irv Dottin. During his adolescent years Irv had pushed Matthew to do his best both inside and outside of the classroom. Irv is credited to always dropping gems to anyone willing to listen around Cambridge. Matthew just started cashing those gems in and carries them with him through life. Like us, Matt attended Cambridge Rindge & Latin High School where he started to think about entrepreneurship. Matthew always knew he wanted to be his own boss, but like many just wasn’t sure which type of business he wanted to pursue. Matthew’s first business venture was a clothing line called Freshly Abstract which was not a big success -- it did however serve as a great introductory lesson to the business world. 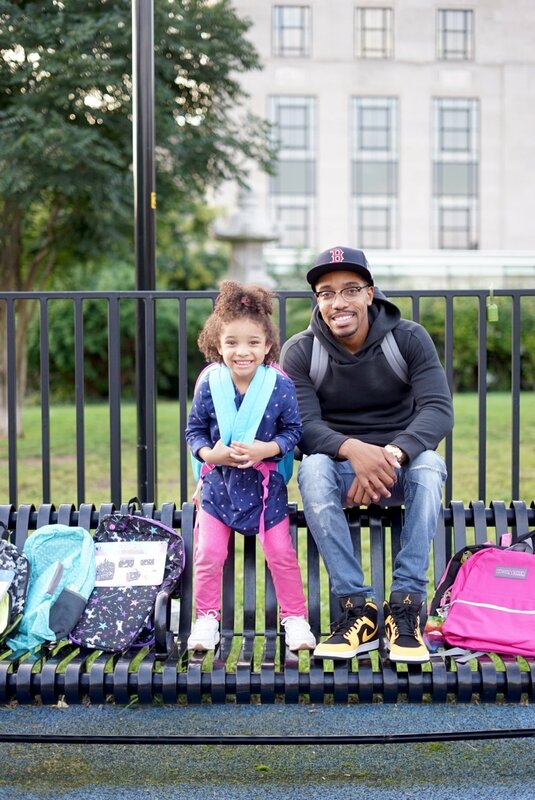 Years later Matthew and his daughter, Mia, are now the founders of The Backpack Marathon, a non-profit movement where they donate backpacks and school supplies to kids in Cambridge, MA with higher rates of low-income students. What we find so amazing about the work Matt & Mia are doing is that they do everything together. Despite the sky high prices of education, Matthew uses his own hard-earned money to buy backpacks and supplies to giveaway at no cost to the recipients. He even went as far as getting a second job to make extra money solely to support the cost of school supplies for the organization. As young millennials, we don’t usually witness our peers giving back in such a capacity, especially while raising children and building on their own futures as well. To say this is impressive and humbling is an understatement. What ignited the spark in you to start this amazing act of community service? A New Years resolution. I knew that I was turning 30 and wanted to start to move differently. I told myself this year I’m gonna help other people. So I thought, how? Maybe volunteer, go back to the schools and hang out to see what kids are up to. So then I thought me and Mia could do something together -- as a parent I wanted to bond more with her. I thought, what if I pass out school supplies to the community? I asked Mia what she wanted to pass out, she said backpacks. I thought that was great but wanted to do more than just bags… So after I had a dream we were passing out backpacks but they were filled with supplies. I decided to go with it, and was advised by some of my people to start a non-profit or charity organization... and here we are. How does the organization identify communities/schools or individuals to work with? When I first started the organization I knew I’d start in Cambridge just being raised here. It was easier to connect to the schools here and talk about the BackPack Marathon. My goal is to focus on communities that need it most. As long as they open their doors to us, we’ll be there. What are some mistakes you’ve made during this journey of becoming a non-profit organization? When I was trying to make the non-profit official, I didn’t realize all the work needed to file for the certification. For example, I had to write bylaws and knew nothing about them. I also originally filed everything with Mia as the proprietor of the organization, not knowing this couldn’t come to pass until she was at least 10 years old. I bit the bullet and paid a lawyer who specializes in non-profit organizations, who was able to correct my mistakes and get me where I needed to be. Storing bags was an issue -- they were all over my house and I ran out of space fast — and that was before the supplies. I eventually rented out a storage space for everything, which also helped me organize better. What has been your most satisfying moment since starting this work? I approach business with an open mind, so the most satisfying thing is learning from expert folks in the field and knowing where they were when they started. I don’t care what the price is when I go to buy the backpacks. That feeling I get when we give them to the kids is all worth it. When some of the customers at Home Depot found out about our organization, they too provided backpacks or donated money to the marathon. How do you think this will help shape Mia? Because I am starting her young giving back the community I believe she will be a great philanthropist. She already knows what it takes and she knows what we are doing serves a higher purpose. I want her to be able to help someone out without even thinking about it. Maybe that will encourage someone else to help the next person. What are some goals you’ve set out for your The BackPack Marathon? I want to give out 200 backpacks by the end of the 2018 year. After we get established as a non-profit, I want to venture out to buy a piece of property and turn it into a dome that has a community center atmosphere for kids to come play and get help with homework. My future goal is to bring in more young people and those who need a chance into the business. I want to be able to mentor them, and by then I’ll have the business knowledge to share and help them attain their own businesses. Before I started this charity, I thought success was having nice material things. When I got older I realized if that’s your goal then you’re gonna work for those things your whole life. I feel like now I define my success as being able to share how I got to where I am —being able to help others do what they want in a shorter amount of time. How do you balance work, parenting and a non-profit organization? It’s tough! I currently work at Mass General full-time but I picked up a part time at Home Depot just to fund the bags, supplies, legal fees etc. It’s long days, but at the end of the day I know what we are doing is the right thing. Just that keeps me driven day after day. This also allows me to create a stronger bond with Mia. With all this, you really have to just manage your time effectively. We also make sure to spend quality time together like going to museums, playing soccer or whatever she wants. What are 3 things you’ve told yourself / done that keep you going during your toughest times? I listen to a lot of motivational speakers through youtube every morning. There’s somebody else that’s still grinding out there. I always remember that in the back of my head and it keeps me going. Don’t cry to give up, cry to keep going. Don’t let the tears be for nothing. Staying zoned in the best thing you can do. What would you say are some skills needed to be a successful entrepreneur? Drive. If you have a dream you really have to want it. Look past the fear, once you pass that everything falls into place. Research the backend of the business. Go to the stores and talk to managers and owners to get some insight. You have to be resilient. You’re gonna have ups and downs but you must persevere through them! Don’t be scared to network and reach out. Build connections. What 3 pieces of advice would you give to another millennial who is inspired by your story? It’s important to give back. I count my success on the people I’ll be able to help. If I help 1 person achieve their goals, I made it. I just want people to know it’s important to give back. Always focus on your dreams. Plan out your next moves to get to the next level. Do something you love to do. Matthew & Mia’s goal is to ensure students are prepared to take advantage of their education without having to be concerned that they don't have supplies. Dr. Jennifer Freed, a psychology professor and the co-founder of Aha!, a non profit serving 1000 teens and their families says, “It is a fact that the single best predictor of being good with people in work, love, and life is the ability to have empathy. Empathy is something we can learn and can be fostered early.” It's very important to give kids practice in real world -- especially in the area of kindness, and Mia is getting that practice early on. Matthew is doing a tremendous job being a role model to Mia and other millennials. 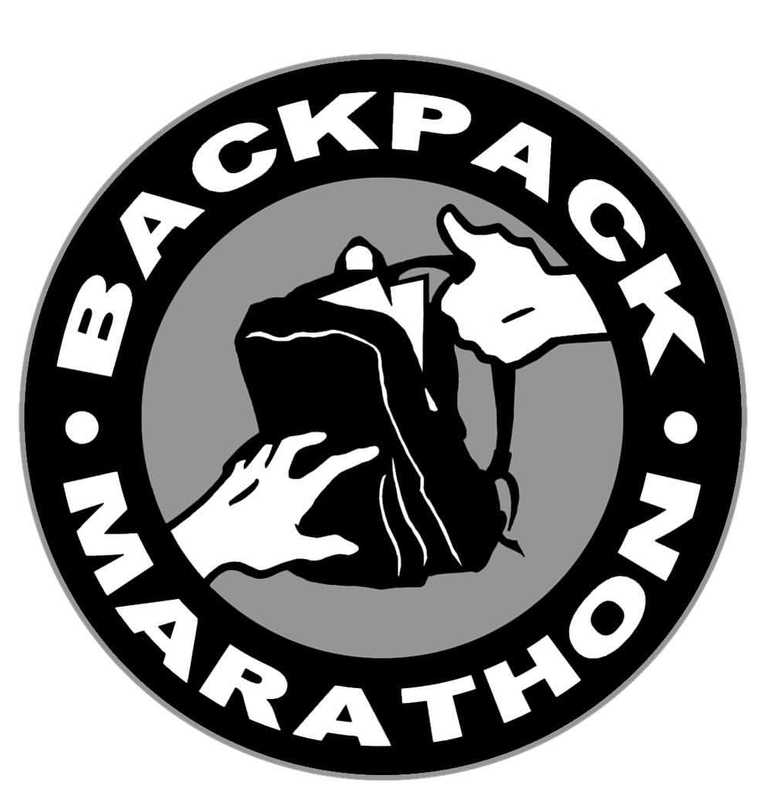 The Backpack Marathon is currently awaiting it’s 501-C3B Non-Profit status and plans to expand its’ reach throughout Massachusetts. Follow @TheBackPackMarathon on Facebook & Instagram (website coming soon) to find out ways to donate or support Matthew & Mia’s movement!